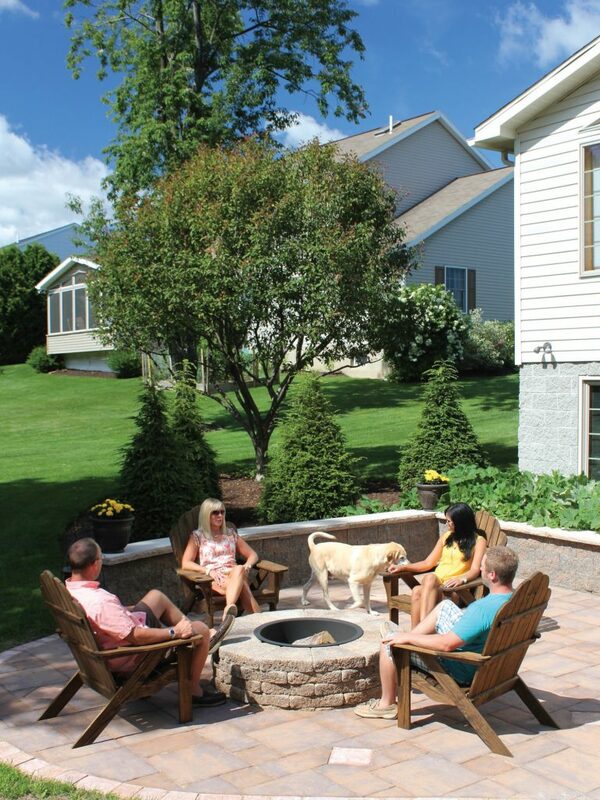 Bauer offers an easy to construct Fire Pit that you can build yourself in an afternoon and enjoy that evening! 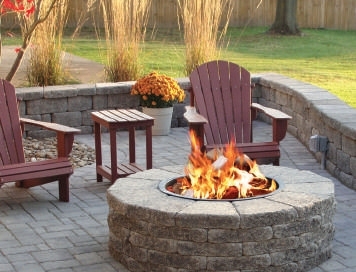 Enjoy your patio on a cool summer evening with the warmth and atmosphere an outdoor fire pit can bring. 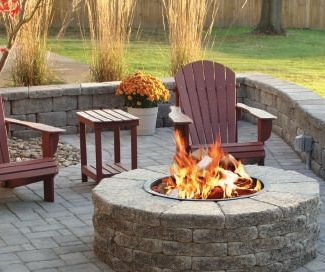 Whether it’s an evening for two or your entertaining the neighbors, this easy to construct fire pit will provide years of outdoor enjoyment. 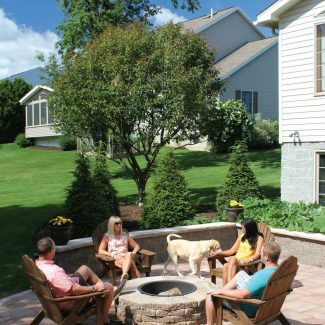 Bauer’s outdoor fire pit is constructed using the Keystone Country Manor or Stonegate Country Manor Caps. It features a steel insert that slips into the opening, protecting the block from excessive heat. It is available as a standard steel ring with an optional cooking grate. 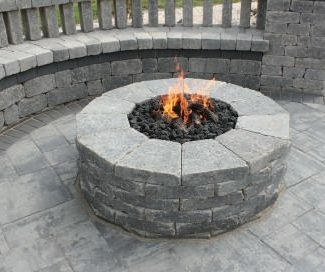 The fire pit is designed to be wood burning, however if you prefer you can have a professional install a gas log insert. 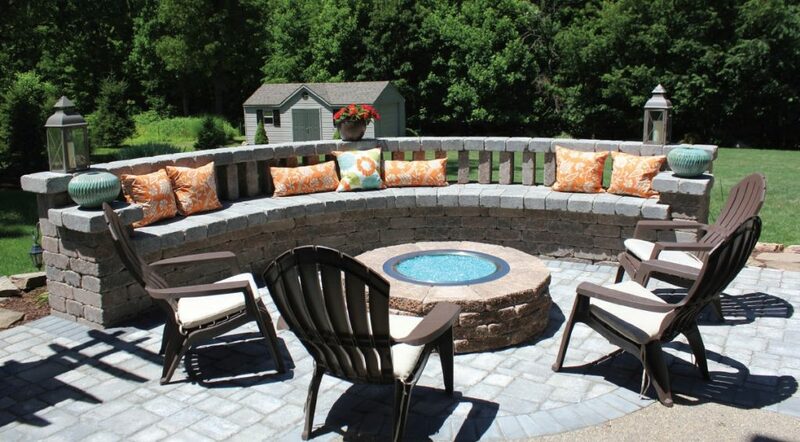 The interior width of the fire pit opening is 27” in diameter. The overall width of the fire pit is 51” in diameter. 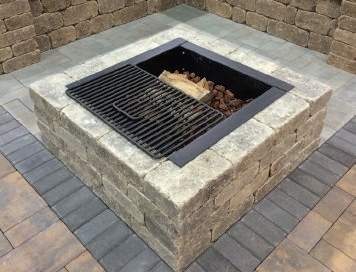 The Bauer fire pit can be constructed directly on a paver patio as shown, or as an option it can be built in the backyard on a minimum 6” compacted stone base. 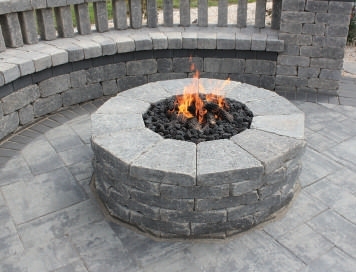 We also offer a square fire pit insert. 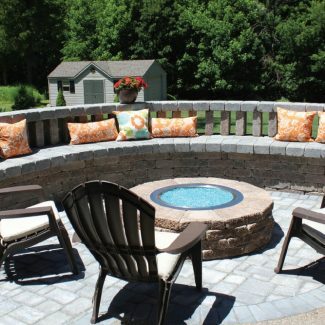 This insert is designed to be used along with our Colonial Wall and Country Manor products to create an attractive and functional outdoor living element sure to enhance any backyard entertainment area. Available with or without cooking grate. 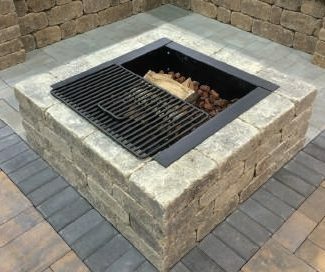 The inside dimension is 27” x 27” and the outside dimension of the square fire pit is 44” x 44”.